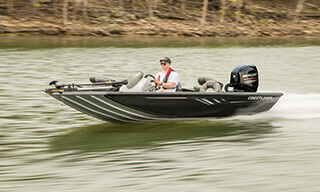 The PT series is one of the best tournament bass boats to hit the water. 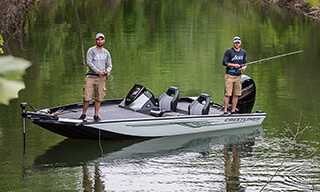 With rod storage that holds up to 10 8’6” rods on the PT 20 or 12 8’ rods on the PT 18, you’ll have a full arsenal ready to tip the scales in your favor. 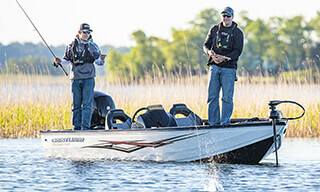 Once you do, the deep aerated and fully insulated stern livewell will keep your trophy bass in mint condition. 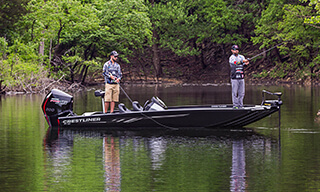 The PT line is packed to the gills with tournament-ready features and innovative storage solutions to help you fish among the elite. Better clear off some shelf space. 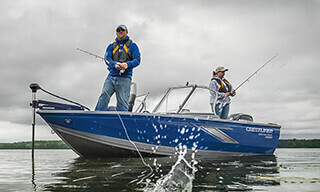 Lockable center rod storage holds up to 10 rods at 8'6'' capacity on the PT 20 and up to 12 rods at 8' capacity on the PT 18. Each includes extra space for tackle boxes and gear on the side.